Looking to upgrade the security of your commercial property? We offer a full range of commercial locksmith services for San Francisco businesses. Call today! If you are searching for an experienced, fully certified, and affordable commercial locksmith for your office security needs, Get Locksmith San Francisco is here to assist you. We specialize in the entire array of commercial locksmith services for businesses, and we can help you beef up security with the latest solutions in the industry. Whether your business or commercial property is in the Financial District or not, Get-Locksmith San Francisco services the city and the Bay area, so don't hesitate to call if you are looking for top notch locksmith solutions, great prices, and expert locksmiths! Our 24/7 commercial lockout mobile crews can reach you within 20 minutes from placing a call with us. Let us restore your access to your office, store, or storage rooms in the blink of an eye and save you precious time and money. Give us a call and put your worries and fears to rest. We can handle any security challenge, no matter how small or complex. Whether you are running a small, mid-size, or large business, we can find a solution for every budget and need. Schedule an appointment with us today or let us know what is your emergency and we will immediately dispatch a team to your address. Here at Get Locksmith San Francisco, we are well aware of the complexity, challenges, and uniqueness of the security systems that today's businesses require. This is why we are ready to handle any request, no matter if you are a running a small corner store or a large office building. Let us become your partner and help you set up the most efficient security solutions. 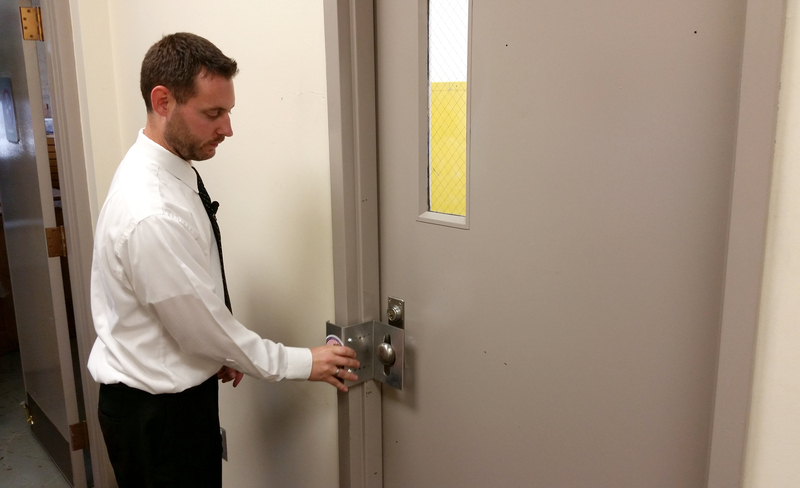 We are also trained to design and install master key systems that will enable various access levels to employees. You will no longer have to worry about unauthorized persons accessing your most sensitive areas without your consent. We can recommend the best security solutions that will keep your expensive office equipment and supplies safe from the hands of potential thieves. We are up-to-date with the latest state, local and federal laws and requirements related to employee safety. Let us partner up with you and help you have one less thing to worry about. Employees leave their keys behind while running to do a quick errand inside/outside the building. Locks get worn out and jammed, and keys get stuck in the lock. Keypads stop answering your commands. These are just a few of the most common reasons why lockouts happen. Our mobile emergency teams can reach the site of an emergency lockout within 20 minutes and immediately pick any type of lock. We will not leave until we are sure that our customer is satisfied. Our office technicians will assess your blueprints and assist you in setting up the best master key system to boost the security of your space. We will customize the access to all aspects of your business and simplify maintenance and key control management. Keep your confidential files, important papers and mail in a safe location, behind locked doors. Opt for locked mailboxes and file cabinets that can prevent theft, while enabling your employees access upon request. Our team can replace faulty and worn-out cabinet locks and upgrade your obsolete locks for extra protection. Make the security of the commercial space that you are running your top priority by having high-security locks fitted. Our certified team of licensed and insured locksmiths will help you choose the best types of mortise locks, panic bars, keycard lock systems, and even fingerprint recognition systems. Prepare a budget for your office security upgrades and let us present to you the most suitable solutions that will match your budget. When dealing with a broken lock on a file cabinet, a jammed lock on the main access door on your building, or a faulty access code lock on your server room, you are forced to put your activity on hold. Every wasted minute could cost you a potential client. There is also the need to stay updated with the latest system releases in order to fight off modern-day security threats. Employee turnover and vengeful former employees that have been laid off are also palpable threats you will need to find solutions against. Our experienced office locksmiths will assess all of your needs and ask all the right questions to determine exactly what you need. Whether you have recently relocated your business into a new space, or you are looking to upgrade your locks after a burglary attempt, our service is available nonstop, 24 hours a day, every day of the month, holidays included. We know how stressful it is to deal with an office lockout or a broken keyless security system. The last thing you need during a lock emergency is a bill going through the roof. We have managed to find the ideal mix of manpower and advanced tools and software that allows us to charge the most affordable rates in the city. Give us a call and ask about our flat rates and discounts, or check out our website for more information. No matter what particular locksmith need your commercial space may entail, we are ready to cater to your every need.